We all know that the US has been experiencing some very hot and dry weather conditions, with the country’s most productive agricultural states suffering as a result. However, according to the National Oceanic and Atmospheric Administration (NOAA), things have gotten so bad that the country is officially experiencing its worst drought since 1956. What is worrying that instead of being limited to only a few states, the NOAA reports that the drought affects over half the country with 55% of the continental US in a “moderate to extreme” stage of drought. As we have previously reported, the drought is affecting crops of corn and soybeans, which has raised concerns that the nation’s food supply may be at risk. Agriculture officials estimate that 30% of the corn crops planted in 18 high-production states were in a poor or very poor condition by last week. Of course, the high temperatures have also accounted for an increase in forest fires which has made several regions even drier. 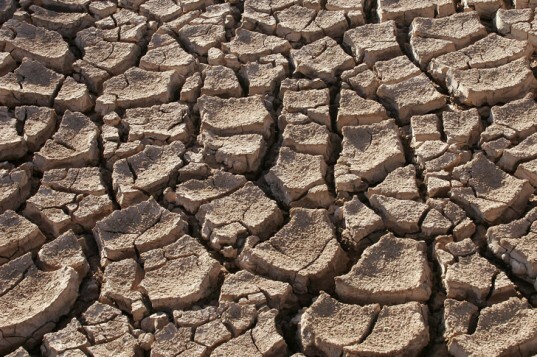 The report also states that as much as 80% of the US is “abnormally dry” and while it was previously limited to areas such as California, it has now spread to the Great Plains and Midwest areas. Unsurprisingly, this made June the 14th warmest and 10th driest since records began. So far, over 1,000 counties in 26 states have been declared disaster areas because of drought, with the US Department of Agriculture in a state of emergency. Overall, NOAA has declared that the continental US has experienced its hottest summer since modern record-keeping began in 1895. Yes, it’s alarming and with record temperatures hitting New York, even more worrying. What is worse is that this might be the start of increasingly warmer summers for years to come. Typical scaremongering: "this might be the start of increasingly warmer summers for years to come." Environmentalists see only evidence they want to see, and never consider that evidence they jump to might have a different explanation. When a scare opportunity presents itself... they predict endless worsening and doom. NO, this will not go on for years to come! Ever hear of solar output cycles and sunspot cycles? Sheesh! There is one caveat. Since recent centuries have been colder than all but two other periods in the last 600 million years, it is possible that the earth will return to more normal temperatures. About 5 degrees Celsius warmer. If there were more CO2 in the atmosphere, the combination would dramatically increase plant growth... as it once was in the Jurassic period. Environmentalist policies draw the exact opposite conclusion from what they should. Yea, and over here in Lithuania, it's a storm one minute, and boiling hot the second. I don't remember anything like that happening at any previous points in time here. Well, at least we can now go all Tim the Enchanter and say "I warned you, but did you listen to me? Oh, no, you knew it all, didn't you? Oh, it's just a harmless little bunny, isn't it? Well, it's always the same. I always tell them--" and perhaps people will finally start taking climate change seriously. We all know that the US has been experiencing some very hot and dry weather conditions, with the country's most productive agricultural states suffering as a result. However, according to the National Oceanic and Atmospheric Administration (NOAA), things have gotten so bad that the country is officially experiencing its worst drought since 1956.